If you happen to not have a grill, or simple don’t want to brave the cold for a decent burger, I’ve got the a cooking lesson for you today! How to cook burgers without a grill! Have you ever tried to make burgers in the rain? 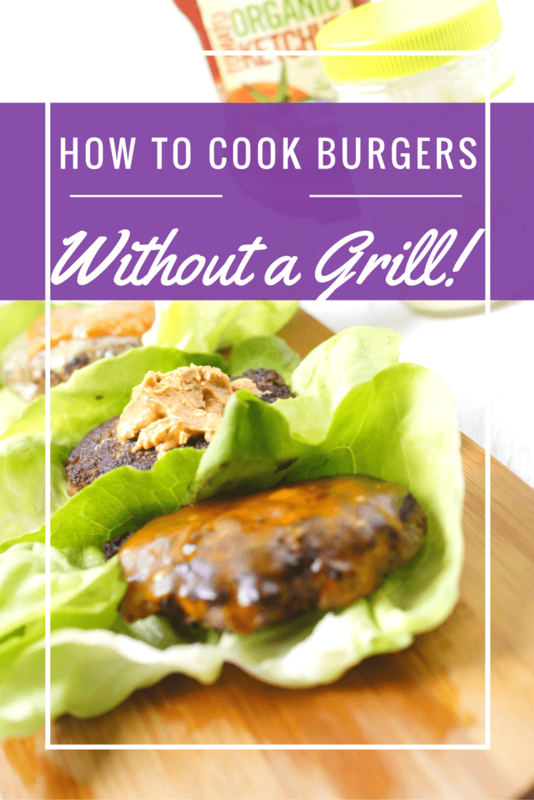 Cooking burgers inside, or without your grill can make life difficult! Should you use the stove, what kind of pan should you use, or what about the oven? Didn’t your mom use to broil burgers? That sounds right, and wrong at the same time! Next time it rains on your parade, I’ve got your back. Here are the top ways to get an epic burger, without using a grill! Use ground beef with some fat in it! Look for 80/20 ground beef if you can find it! Don’t overwork the meat! Just gently pat the ground beef into patties. Overworked beef gets really tough. If you like salt and pepper, only add it after the patties are made! Usually about 5-7 oz’s a burger is a great size. Keep all the burgers the same size! This means everything to ready to flip and be done at about the same time. Pre-heat your pan and add a bit of butter or other cooking fat. You should hear a glorious sizzle when the burger hits the pan. I prefer a large cast iron skillet for the job. It holds the heat well. You can fit 2 patties in a 12 inch skillet depending on size. Cook over medium/ medium high heat. Don’t mess with the burgers while they are cooking. I like to use a screen to keep my stove from being covered in grease! 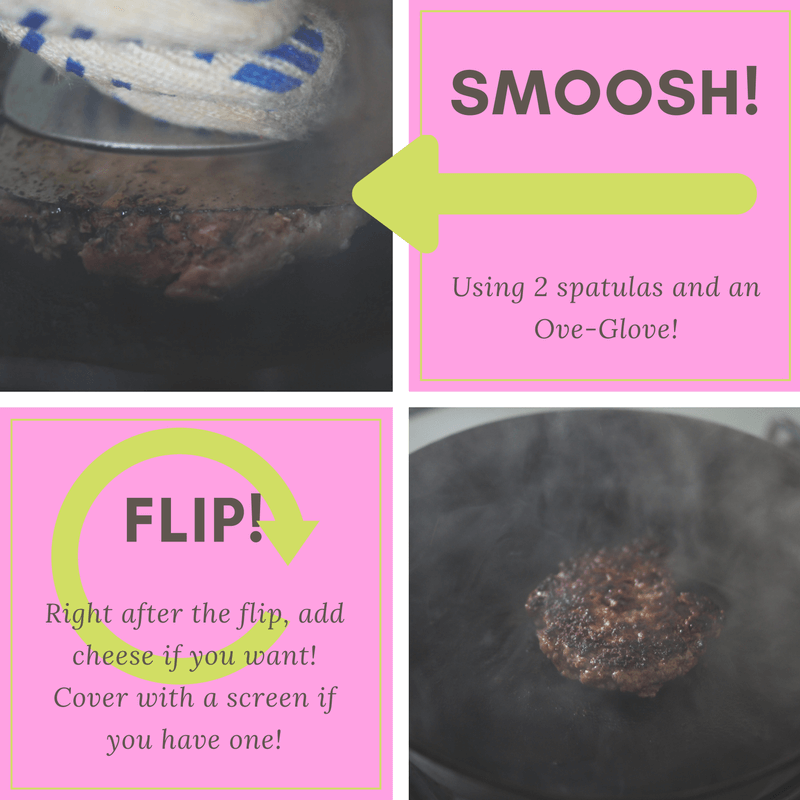 The Smashing Method on the Stovetop. If you want the best flavor, smash the burger. There is a whole bunch of science behind this but it works -trust me! If you want to go check out the science, what were doing is called the Maillard Reaction- go ahead and google that! This isn’t hard but has to be done properly and on time. Start with a pre-heated cast iron skillet just as before. You’re going to need a decent metal spatula. NOT a flimsy one! In fact you might even need to use two. Try to use a solid one, not a slated one, that will just complicated things. Turn your heat up on the stove to medium high. Start with a thick burger/ball of meat. Then you can salt and pepper it if you wish. This is just a loose ball of meat. You an even use a ice cream scoop. Add some oil or butter to the pan, and then your ball of meat. Within the first 30 seconds of your burger hitting the hot pan, you smash it down, firmly! You want to get it pretty thin, which is why you need a decent spatula or two to get the job done. Once it’s squished, let it sit about 90 seconds. 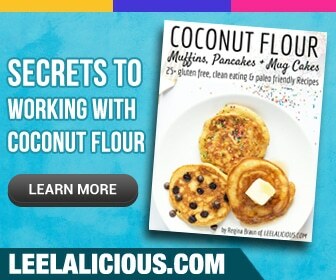 Flip, it should have a good crust, and you might have to scrape it off the skillet a bit. Cook another 30-60 seconds and the patty should be done! Don’t do this on a grill… and if this sounds too complicated, just go with the regular stove top instructions. Can you cook a burger in the oven? In a word, Yes! However you should have a decent broiler pan, and a cool house. I find this method warms up the house more than the stove. Broiling is a bit messy since you need to flip the burgers while in the oven. I would also rather clean my cast iron than the broiler pan, personal preference! You can also do this small scale in a toaster oven that has a broil setting! Adjust your oven rack to right below the heating element. Prepare you patties as above, remembering to add a thumb sized indent in the middle of each patty. Season both sides of the patties and place on a broiler pan. Broil under the heat for about 3 min until you get a nice crust going, and then flip. To flip pull out the over rack a bit so you have some room to work. Be careful about burning yourself! Please let me know if you have any questions I missed about cooking burgers without using an outdoor grill! P.S. 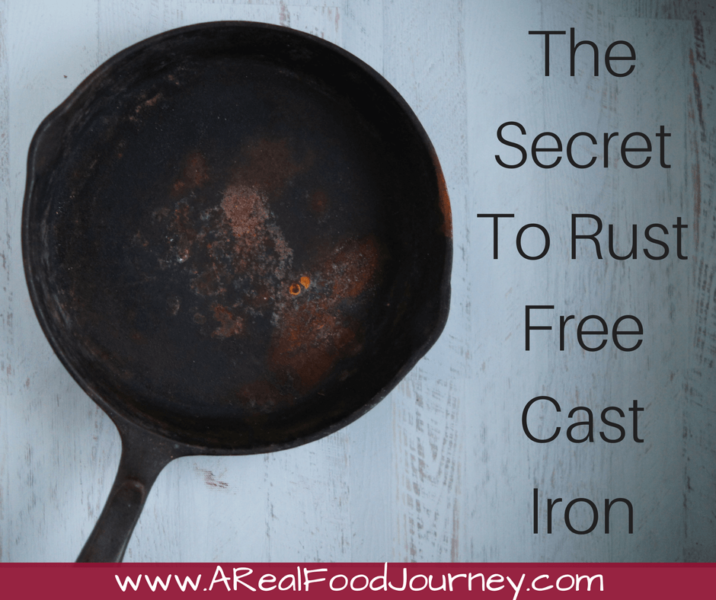 Need to rehab your old cast iron skillet? Ready to become a burger boss? Enter your email address and I will send you my e-book with THE tips to grill a perfect burger and 10 amazing, killer burger recipes! You won't find these flavor combinations anywhere else! Success! 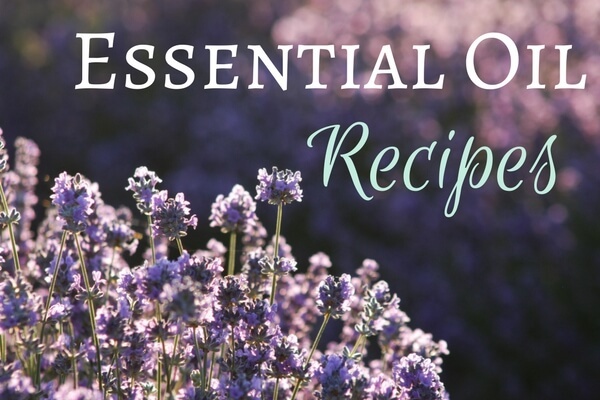 Now check your email to download the free book!